Joseph Roth's letter reveal a man stuck between the past and the present. Joseph Roth: A Life in Letters, translated by Michael Hoffman. 512 pages. W.W. Norton & Company. $39.95. There are no love letters — or any letters at all — to his wife Friedl Reichler, from whom Roth was often separated for long stretches between travels. There was a time when Roth had Friedl in tow, a lifeline to the world outside the mobile office of his hotel rooms, to the world outside his mind. But even when, in 1929, Friedl’s unhappiness turned to insanity — when she was eventually shipped back to her parents, and then, finally, committed to an asylum (where she would be “euthanized” by the Nazis in 1940), leaving Roth desperately, achingly free — he only wrote letters to his in-laws, hurried inquiries about Friedl’s health, about whether his payments to doctors had been received. The letters were cordial and encouraging but brief, to the effect of: I’m hoping the book will be sold soon, I’m trying to get more money, please don’t take Friedl’s aggression personally, not sure when I can visit but soon. The last 10 years of Roth’s life were dominated by work, alcohol, and the guilt-ridden struggle to keep Friedl financially — if not emotionally — provided for. 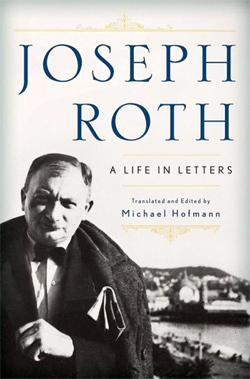 Almost none of Joseph’s Roth’s surviving letters are what one might expect, or hope, to find in a book subtitled “A Life in Letters.” As editor and translator Michael Hofmann aptly notes in his introduction, there are no letters written by Joseph Roth to his parents. Roth never knew his father, who lost his mind before Roth was born and died in Russia when Roth was 16. There are no letters to his mother, whom Roth barely saw, but he never fails, in his correspondences, to inquire after other people’s mothers (and other people’s wives, too). There are no letters written to those who, according to Hofmann, were perhaps Roth’s closest friends — even after Europe became a continent of exiles in 1933 and a letter from a friend would be a critical comfort. The letters of Joseph Roth are at once intimate and distant, impersonal and revelatory, candid and somehow incomplete. Most of them are written with a characteristic Joseph Roth formality, but this makes for striking contrast with the furious passion of the content. There is rarely self-censorship with Roth, and yet the blunt frankness often feels more like a show than honesty. “Sorry, forgive the know-it-all tone, the superiority, and anything else that bothers you here. Listen, if you do listen, to the absolute honesty of my words,” he wrote to fellow writer Hans Natonek in 1932. As Hofmann discovered in translation, Roth rarely used the familiar Du (in the original German), and when he did it was for, as Hofmann puts it, “near-strangers,” fellow soldiers with whom he had briefly served in the Austrian army, and only then because it was dictated by custom. Even when Roth was informal, it was because the rules of formality called for it. For instance, his letters to friend, patron, and fellow writer Stefan Zweig, with whom he had a friendship that spanned over a decade in multiple countries, and to whom the majority of his later letters in A Life in Letters are addressed, begin with “Dear Esteemed Mr. Zweig” and sometimes “Dear and Esteemed Mr. Zweig” and once as “Dear highly esteemed Stefan Zweig.” This formality was adhered to even when Roth was asking Zweig for money or expressing his fears (“I am terribly sad…my wife was my only channel to the world outside, the social part of myself. My own glumness scares me”). Soon after they first met, Roth begins a letter to Zweig with, “I must yield to your wish that I not address you as “Mr.” if you think it impedes the friendliness of our communications. That it honors me, I need not say,” addressing the letter to the “esteemed Stefan Zweig.” No doubt, Stefan Zweig was esteemed; not only was he older and far wealthier than Roth, but he was also one of the most famous European writers of his day. Nonetheless, Zweig’s admiration for Roth was obvious in Zweig’s lasting patronage and friendship, which continued faithfully — despite Roth’s famous and ever-increasing cynicism — until Roth’s suicide at the age of 44 in 1939. Dear friend, the news of your father’s death just reached me…. I never got to meet him, but even so I mourn his passing. I imagine he was one of those characters that no longer exist in Germany, a person with the aura of the Counter-Reformation, and the Holy Roman Empire…. I mourn his death of course not least for you, my friend, because you still needed him, and it would have been only fair if he had lived to see your literary fledgling…. Don’t take it amiss if I tell you that such moments are necessary and even fruitful. They attach us to the beyond, it’s a little like going to church, which of course we don’t do…. Write to me through Miss Weber — but only if you want to…. The tension between personal and professional is most profound in his letters to Benno Reifenberg, Roth’s boss and editor at the Frankfurter Zeitung, where Roth was a star journalist. There is a warmth in Roth’s letters to Reifenberg — Roth is always sure to give his best to Reifenberg’s wife and son — and Roth is comfortable sharing his sorrow with Reifenberg as well as his pleasure. Note one of his first letters to Reifenberg from Paris, where Roth served as correspondent for the FZ in 1925, doubtless the happiest year of his life. I feel driven to inform you personally that Paris is the capital of the world and that you must come here…. I owe it to you that I was able to come to France, and I shall never thank you enough…. My wife is staying here for the moment, she’s unwell…. Please write to her. But the letters never escape the characteristically strained relationship between difficult writer and amiably aloof editor. Roth is forever plaguing Reifenberg with requests for more money, or for praise, or for confirmation of the publication of his work, or simply for confirmation of Roth’s existence in a return letter. 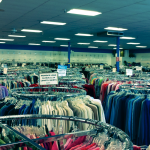 Reifenberg continued to be patient and helpful, but it was never quite satisfying for Roth. Forever homeless, Roth was nostalgic for a life that he never really knew, and that never even really existed. But this was beside the point. The old world of Joseph Roth was a world of order and sense, of standards, of stability. “If only the traditional forms still applied!” he wrote once to Brentano. “But the new informality in Germany kills everything. 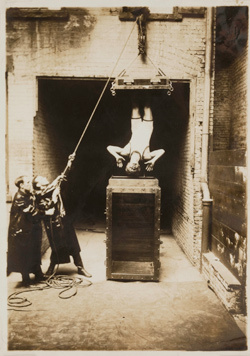 I can’t participate.” This sensible old world, or the old world as it existed in his longing, is what Roth — an artist naturally disposed to internal chaos living in a chaotic world, where barbarians had taken over and a Hell reigned on Earth — craved. The characters in the 13 novels Joseph Roth pushed out of his brain in less than 20 years all grapple with some version of this theme — how to return to a place and time that exists only in the imagination. How to feel at home. Why read a book of letters written by a writer of books? Letters are the opposite of a book. A book is careful, constructed, thoughtful; letters are messy and immediate and can be insultingly thoughtless. It is the combination of all these things that makes the letters of Joseph Roth so moving — and disturbing — to read, especially as a companion to his novels. There is a melancholy to Roth’s novels, but the melancholy is tempered with an immense joy. There was nothing tempered in Joseph Roth’s letters, and there was no joy, not in his letters nor, it seems, in his life, save his early days in Paris. “I have become an old man,” he wrote at the age of 36, “and have gotten used to the absence of joy. In my own life, that is.” Sometimes Roth’s letters read like sketches for future novels, an excising of his own worst psychoses, psychoses that he wouldn’t dare inflict upon his closest friends and family, the people who depended most on his better qualities — his generosity, his sensitivity — or on the fictional characters he created in his novels, the characters that recur in his books like old friends. Perhaps Roth saved up all his joy for his characters. Or maybe he lived joyously through them. Giving up on the possibility of finding a home in the world, Roth devoted his life to escaping his own internal homelessness through two means — alcohol and writing — and it is never clear which killed him first. Ironically, he would die in the only country that ever gave him pleasure, France, a country where the exuberant ease he so admired was as foreign to him as the German stuffiness he hated. Emily Dickinson once noted that letters reminded her of immortality because they are the mind alone without corporeal friend. In the case of Joseph Roth, the letters he wrote are the documentation of a mind alone without corporeal friend in a breathless race toward death. 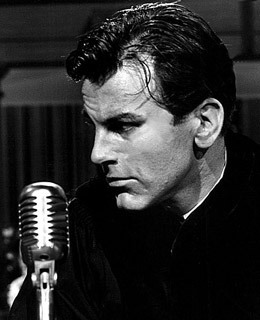 It’s like what Roth wrote to his cousin long ago: “It’s in eternity that we live. From eternity, in eternity, for eternity. Yes, for eternity as well.” One gets a glimpse of the man who has come to be a literary spokesperson for nostalgia, but in Joseph Roth’s letters, nostalgia’s darker side is revealed. It is a nostalgia that has no room for a life lived today, nostalgia as a timeless, placeless dream that can never be, a dream without room for the dreamer.